An "eerily poignant novel" about a grieving father and a cold-case mystery, from an Edgar Award winner (PublishersWeekly, starred review). George Gates used to be a travel writer who specialized in places where people disappeared -- Judge Crater, the Lost Colony. Then his eight-year-old son was murdered, the killer never found, and Gates gave up disappearance. Now he writes stories of redemptive triviality about flower festivals and local celebrities for the town paper, and spends his evenings haunted by the image of his son's last day. Enter Arlo McBride, a retired missing-persons detective still obsessed with the unsolved case of Katherine Carr. When he gives Gates the story she left behind -- a story of a man stalking a woman named Katherine Carr -- Gates too is drawn inexorably into a search for the missing author's brief life and uncertain fate. And as he goes deeper, he begins to suspect that her tale holds the key not only to her fate, but to his own. 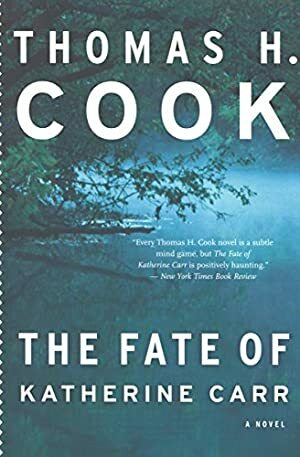 Log In to track Thomas H. Cook on eReaderIQ. to be notified each time the price drops on any book by Thomas H. Cook. to stop tracking Thomas H. Cook. We started tracking this book on December 3, 2010. The price of this book has changed 225 times in the past 3,060 days. The current price of this book is $1.99 last checked 22 hours ago. The lowest price to date was $1.23 last reached on June 1, 2012. This book has been $1.23 one time since we started tracking it. The highest price to date was $13.99 last reached on May 8, 2018. We last verified the price of this book about 22 hours ago. At that time, the price was $1.99. This price is subject to change. The price displayed on the Amazon.com website at the time of purchase is the price you will pay for this book. Please confirm the price before making any purchases.